The Incident at Absalom Station SoundPack gives you the complete audio solution when playing the first chapter of The Dead Suns Adventure Path. All the preparation is done for you and every sound you'll need is right at your fingertips. 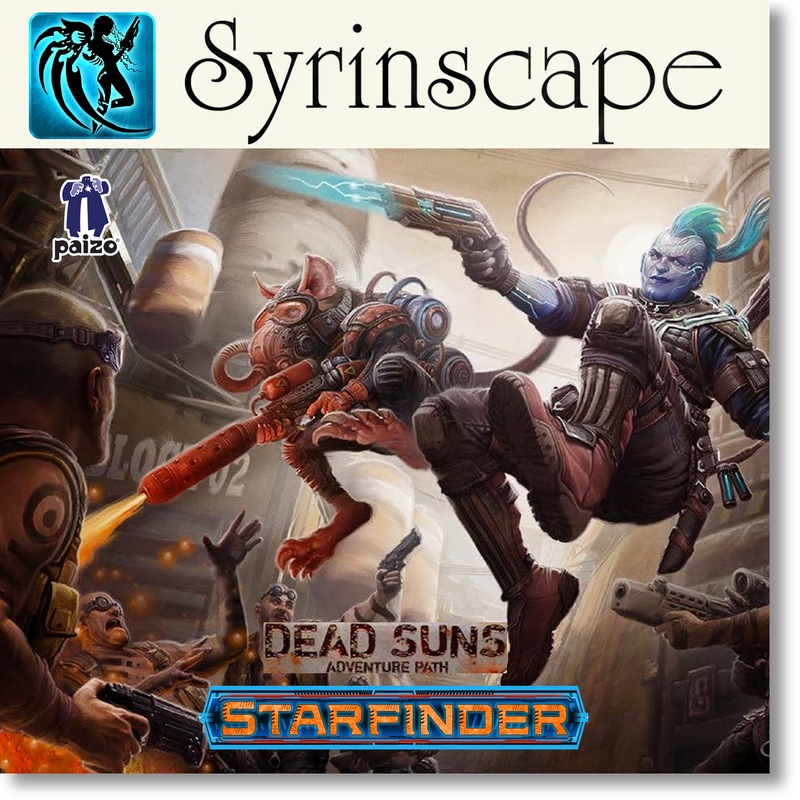 When a brutal gang war breaks out on a docking bay in Absalom Station, the player characters are recruited by the Starfinder Society to investigate the unexpected bloodshed. Delving into the station's seedy Spike neighborhoods, the heroes confront the gangs and discover that both were paid to start the riot and that the true conflict is between two rival mining companies battling over a new arrival in orbit around the station: a mysteriously deserted ship and the strange asteroid it recovered from the Drift. Is this Starfinder Adventure Path SoundPack useful when I'm not running a Starfinder Adventure? Availablility: Your Syrinscape audio content will be delivered as a Voucher Code on your My Downloads page redeemable at syrinscape.com, and will be downloadable within the Syrinscape Sci-Fi Player. Contact support@syrinscape.com if you have any questions. Just watched the demonstration video and I had stop by and say that it sounds amazing! I especially like the little news snippets. Way to crank up the atmosphere! Unfortunately, I GM exclusively on roll20 these days, but if I ever get to run in an in-person campaign again, I will definitely give this a try! Same here, it sounds AMAZING! Good work there! If you manage to integrate it in Roll20 somehow I will defintely buy it. With Syrinscape Online you CAN use Syrinscape in your online games. Our online Player has been built specifically with that in mind. You can check it out HERE. That's awesome to hear! Unfortunately, Syrinscape Online does not currently support Linux so one of my players can't install it. So unless you come up with a browser-based solution (like Tabletop Audio's SoundPads) or release a Linux build, this is not an option for us.